Bicycling is fun, great exercise and ecologically friendly. 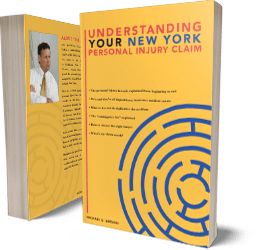 Two or our lawyers, Mike Bersani and Lee Michaels, handle almost all our Syracuse and Central NY bicycle accident cases because they are avid bicyclists and know the rules and hazards bicyclists confront every day. Why is bicycling so dangerous? The problem is not bicycles per se, but rather traffic. Cars, trucks and the like are a lot bigger, faster and more powerful than light-weight bikes. Further, motorists tend not to see bicyclists. In fact, in most biking accidents, a motorist is to blame. According to the "Capital Times of Madison", Wisconsin (July 8, 1995), "Motorists failing to yield the right of way to a bike caused 42 percent of [their] accidents. Another 39 percent occurred because cars were making turns and didn't notice a bike. "Bicyclists have rights! They have the same right to use the roadway as any other vehicle. Motorists must be alert to the presence of cyclists and drive responsibly. What rules of the road must bicyclists follow? First, there are common sense rules: Cyclists should not assume that the motorist has seen them. Cyclists should attempt to establish eye contact and adjust their activity in anticipation that the motorist is not aware of their presence. While bicyclists may complain that automobile drivers do not "see" them on the road, drivers complain that bicyclists ignore, whether deliberately or through ignorance, safety rules and state/local laws. Second, there are formal rules of the road which a bicyclist must follow. As a bicyclist, you must know and follow the New York State Vehicle and Traffic Law.. In other words, bicyclists are required to follow the same laws and rules of the road as motorists. These include riding on the right side of the road as well as obeying traffic signs and signals. Your local city or town may have additional bicylce rules. May bicyclists ride side-by-side on a roadway? Yes, two abreast on roadways, but when a vehicle is passing them, they must ride single file. Yes, if you are under 14 years old, but not if you are 14 or older. But everyone should wear a helmet because they reduce the risk of serious head injury. .
What other Vehicle & Traffic laws apply to bicyclists? Besides the general rules of the road, some rules apply strictly to bicyclists. A bicyclist must ride as close to the right side of the road as he safely can, and use the shoulder of the road if possible. A bicyclist must also use hand signals for turning. If a bicyclist listens to an audio device, he can only use one ear plug, never two. What other safety tips do you have for me? Remember to always follow the same rules of the road that a car does. If you do, motorists will see you more easily. Don't, for example, ride on the wrong side of the road, and don't disregard stop signs. Assume motorists don't see you, and try to make sure they do see you. A motorist may be looking your way and still not see you.. Try to establish eye contact. Wear bright colored clothing and add reflective material to them..
Be safe on your bike! But if you are injured on your bicycle, contact us at Michaels & Smolak for a free consultation.